After its second straight weekend sweep, Quinnipiac men's ice hockey has picked up two more weekly awards as was announced the ECAC league office in a press release. Odeen Tufto took home the ECAC player of the week after a three goal and three assist weekend against the Maine Black Bears. 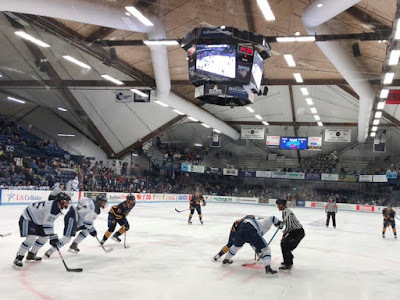 Tufto had a monster game on Friday when he had three goals and two assists and followed the game with an assist on Ethan de Jong's goal on Saturday night. 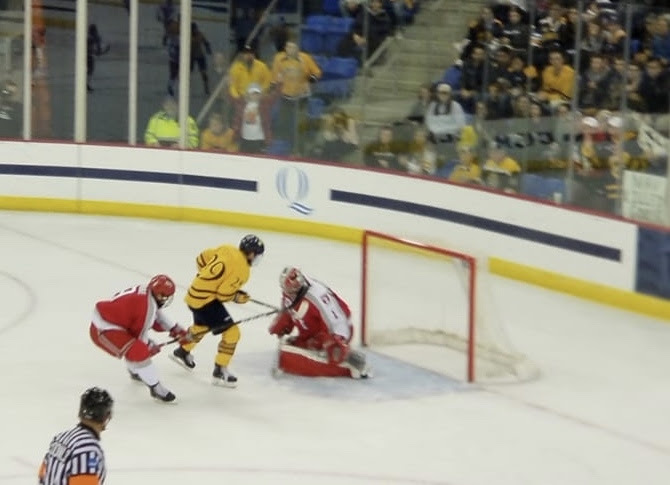 Tufto leads Quinnipiac with 18 points on 9 goals and 9 assists after a 41 point freshman season a year ago. This is the second ECAC player of the week for Tufto who won the award last season for the week of January 16, 2018 when he was also named the rookie of the week as well. A week after Wyatt Bongiovanni took the ECAC rookie of the week award, it was another Quinnipiac freshman claiming the award this week in Ethan de Jong. The North Vancouver, B.C. native had two goals and one assist in two games over the weekend. He is riding a three game point streak (2 goals, 2 assists) and has 10 points (3 goals, 7 assists) in 13 games played on Quinnipiac's top line this season. Congrats to both Odeen and Ethan on their ECAC weekly awards.